The world's largest poker hand database, WeakTight.com, is under new ownership after being acquired by iGaming media company 180Vita. Configured for both cash and tournament hands, the WeakTight software allows players to convert hand histories from poker software such as Holdem Manager and PokerTracker and then analyse any potential leaks in their game. "We have long admired what WeakTight has done to advance online poker, and first and foremost we want to ensure it continues to be regarded as the best at what it does," said Jamie Nevin, founder of 180Vita. "We have some very exciting plans for WeakTight, and going forward we will work on integrating it into our portfolio of sites while keeping the features which have made it so popular with online poker players around the globe." 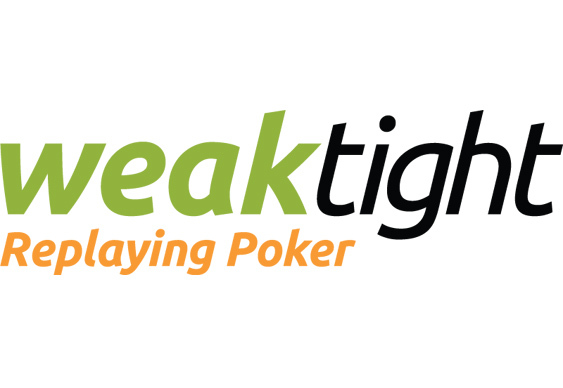 Launched in 2007, WeakTight boasts more than 100,000 members, who have posted more than 6.6 million poker hands online. 180Vita's growing portfolio already includes sites such as PokerVIP, PokerTube, FootballTube and newly launched sports tipping authority Tipday.